Notes: 희망 and 소망 have the same translation and effectively mean the same thing. However, 소망 is more likely to be used with some unattainable wish like “My wish is for the two Koreas to be unified.” That being said, in most cases they are both acceptable. 소망이 무엇인지 말씀해 주실래요? = Could you please tell me what your dream/hope is? 영어숙어를 같이 외워 볼래? = Shall we try to memorize English idioms together? 이 숙어가 무슨 뜻인지 설명해 주실래요? = Could you please explain what this idiom means? 장례식에 같이 갈래요? = Shall we go to the funeral together? 환불해 주실래요? = Could you please give me a refund? 회원을 모집해 볼래요? = Shall we try to recruit some members? 그 파일을 이 컴퓨터로 복제해 주실래요? = Could you please copy that file to this computer? 울리는 핸드폰을 받아 주실래요? = Could you please pick up the phone that is ringing? 하지만 바로 그때였다. 핸드폰이 울렸다. ‘아 누구지?’ 핸드폰을 확인해 봤다. 그 문자는 바로 민호한테서 온 것이었다 = But, it was right at that moment. My phone rang. Who could it be? I checked the phone. That message had come from none other than 민호. 에어컨을 틀어 주실래요? = Could you please turn on the air conditioner? 이것을 다 작성해 주실래요? = Could you please write all of this up for me? 경기를 내일까지 연기할래요? = Shall we delay the match until tomorrow? 법을 엄격하게 시행할래요? = Shall we enforce the punishment strictly? 요새 벌이 조금 공평하지 않아. 내일 그것을 선생님이랑 얘기하자 = Lately, the punishments have been a little unfair. Let’s talk about that with the teacher tomorrow. 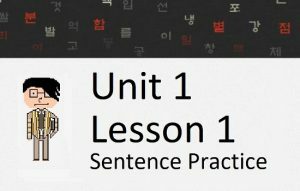 In this lesson, you will learn about ~자 and ~ㅂ/읍시다, which are two common endings that you can use to suggest that you do something with another person. 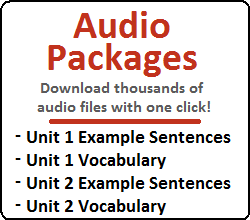 In addition, you will learn how to use ~ㄹ/을래(요) which can sometimes be used in similar situations. Let’s get started. It is important to note that using ~자 is informal, and adding ~요 to ~자 is not done in Korean. Therefore, the sentences above could only be said to people who do not deserve high respect, like your friends or people younger than you. 밥을 먹읍시다! = Let’s eat! 내일 공원에 갑시다! = Tomorrow, let’s go to the park! 같이 먹고 싶습니까? = Do you want to eat together? 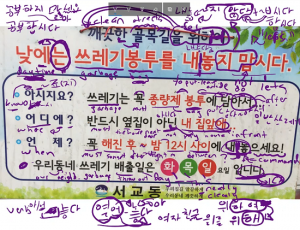 Want to see how ~ㅂ/읍시다 would be used in a Korean street sign? Watch me breakdown the usage in a YouTube video. There is another Korean ending that you can use to say something similar to “let’s…” that you can add the formal ending ~요 to. We will learn about this next. I will separate my explanation of ~ㄹ/을래(요) into four usages. Each usage has a slightly different feel so I think this separation is helpful. Notice that (unlike ~자 and ~ㅂ/읍시다) ~요 can be added to this ending to make it more formal. Let’s discuss these four usages. 내일 공부하러 독서실에 갈래요? = Shall we go to the library tomorrow to study? 서울에 있는 공연을 보러 갈래요? = Shall we go to see the show in Seoul? 내일 공부하러 독서실에 갈래요? = Would you like to go the library with me tomorrow to study? 서울에 있는 공연을 보러 갈래요? = Would you like to go to see the show with me in Seoul? 영화를 볼래요? = Shall we see a movie together? 저녁을 내일 먹을래요? = Shall we eat dinner together tomorrow? 벌을 엄격하게 시행할래요? = Shall we enforce the punishment strictly? 언제 할래? = When shall/should we do it? 어디 갈래? = Where shall/should we go? 뭐 먹을래? = What shall/should we eat? Both of these are (usually) not used literally, and are simply empty threats from the speaker. These are typically used when the speaker becomes annoyed at somebody, and he/she can express her annoyance by threatening the person. 김치를 더 줄래요? = Can you give me more kimchi? 문을 닫아 줄래요? = Can you close the door? 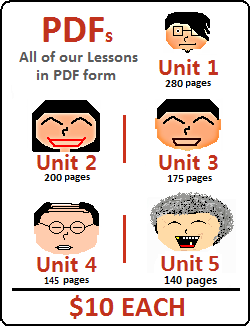 In Lesson 40, you learned how to use ~(으)세요 (and other imperative endings) to give a command. In effect, using ~ㄹ/을래(요) in this way is simply another way you can ask a person to do something for you. Because it is not a direct command, it sounds a little bit softer than telling a person directly to do something – almost like a request instead of a command. 김치를 더 주실래요? = Could you please give me more kimchi? 문을 닫아 주실래요? = Could you please close the door? Also note that ~안 or ~지 않다 can be used to indicate that the speaker doesn’t want to do something.